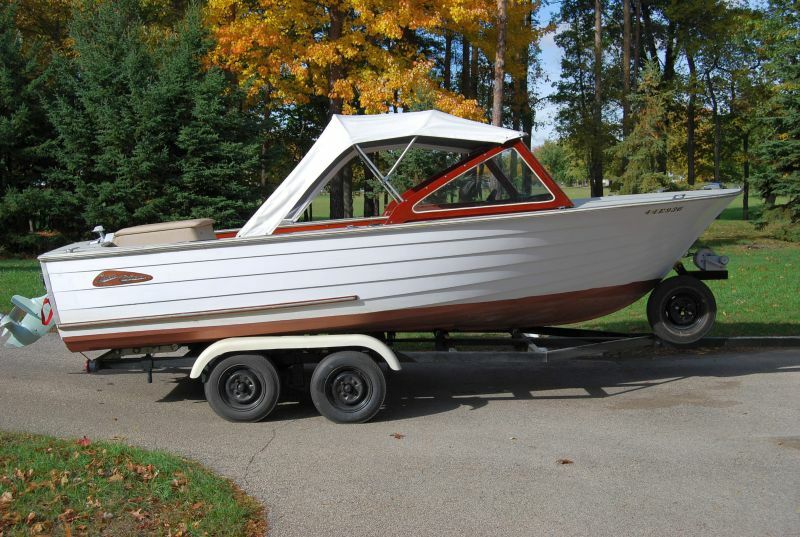 This incredibly original Grew Cruiser has been with its current owner for 31 years. 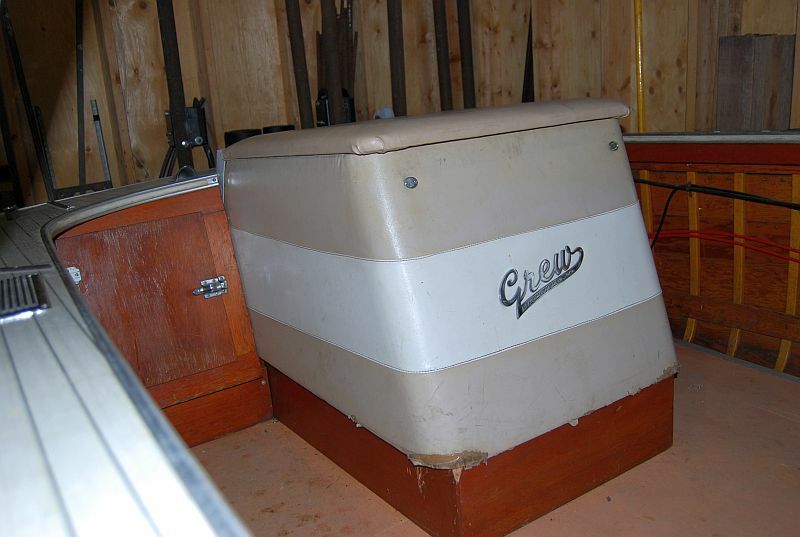 It has always been stored indoors. 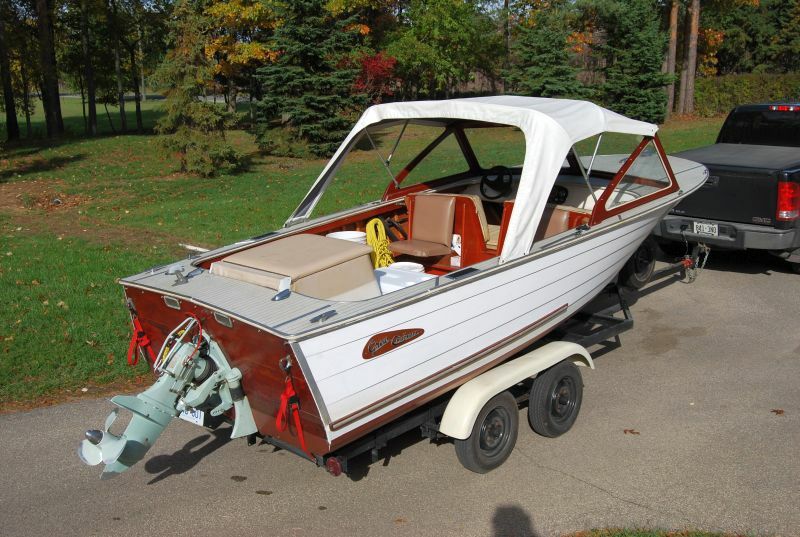 It has had 6 day trips to the lake in 2016. 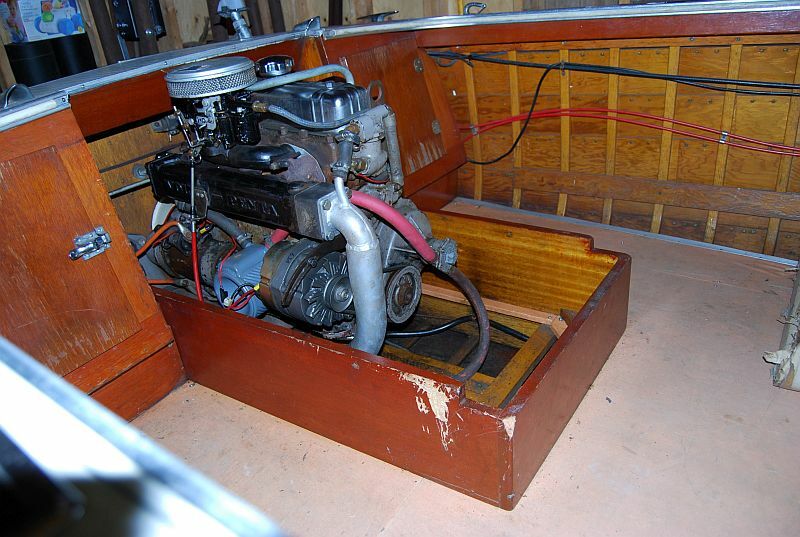 Its\’s powered by Aquamatic 80 Volvo inboard/outboard. 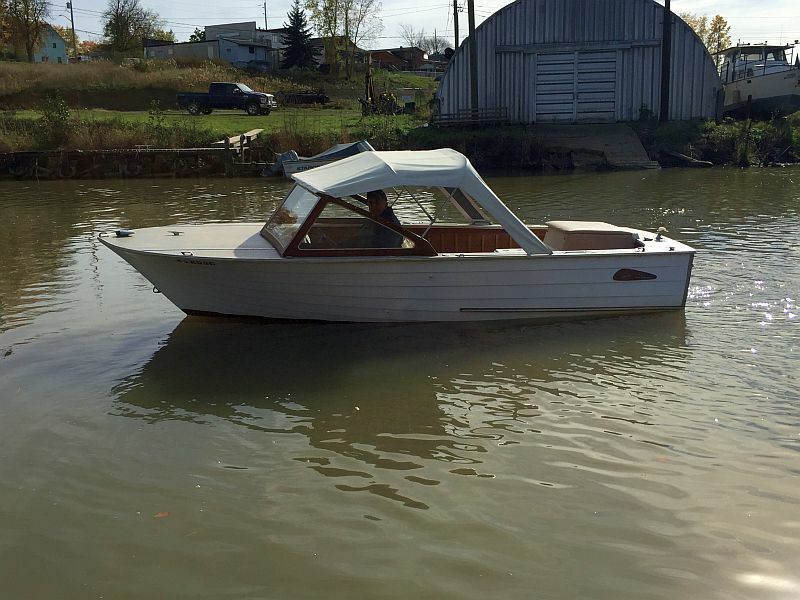 The hull is of marine grade plywood lapstrake design and had a paint refresh in spring 2016.It comes with top with a stern curtain and clear side window panels-all of which are in great condition. 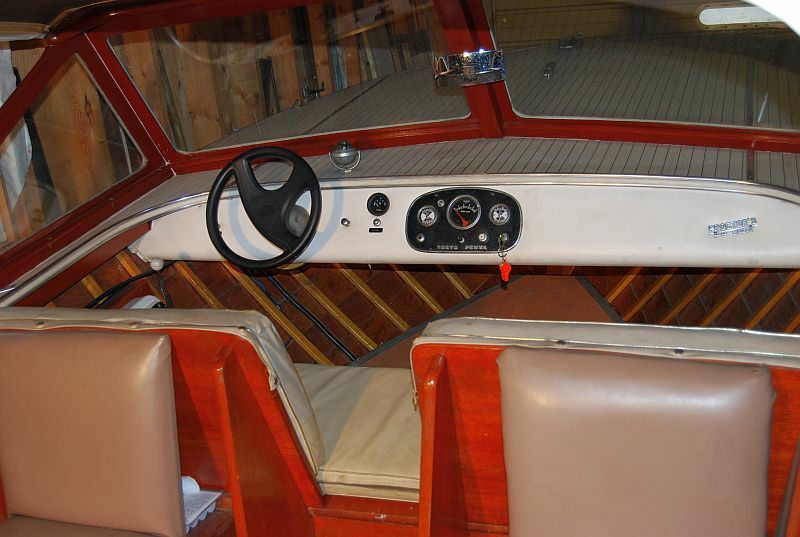 The interior wood is made of mahogany with a Nautolex vinyl decking and floor covering. 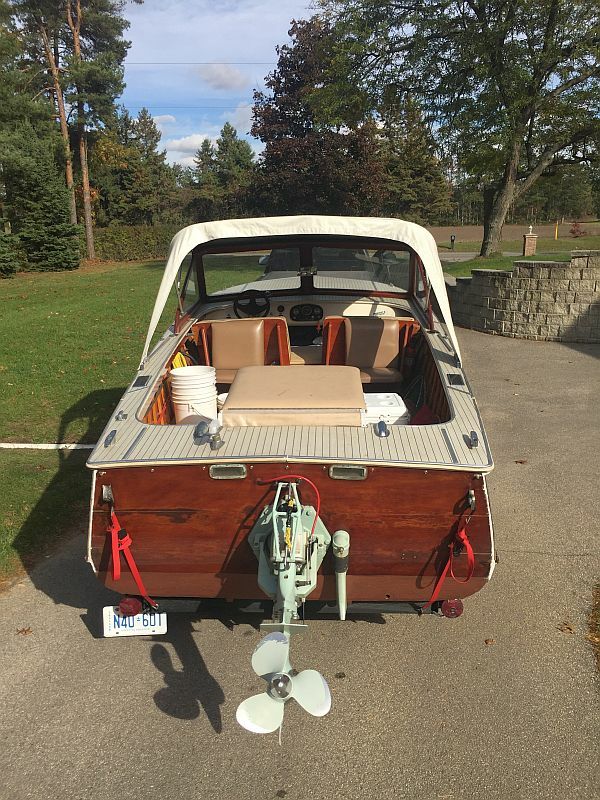 The trailer was custom built for this boat and is included. it had new rollers and bearings installed in 2016.